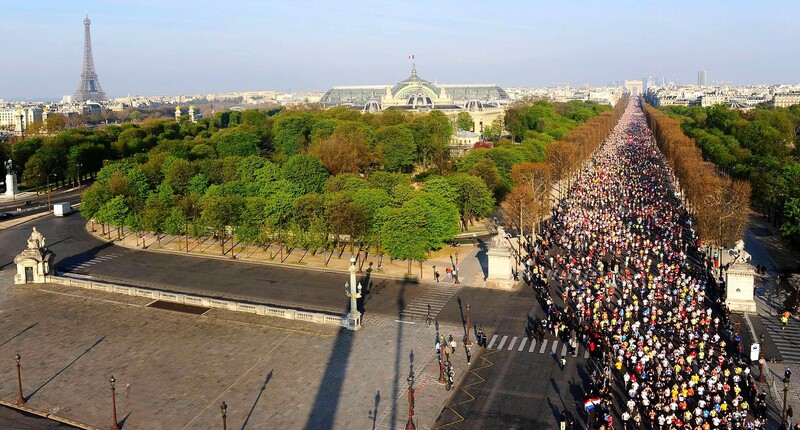 The MARATHON OF PARIS! The event of the year for many runners. A beautiful visit of the capital! Go down the “Champs Elysées”, cross the “place de la Concorde”, go along street of Rivoli and the Louvre, greet the Genius of the Bastille, join the Castle and the Wood of Vincennes, return and join the West by way of the river Seine banks and admire the Conciergerie, then the Eiffel Tower, discover the very green Wood of Boulogne and cross the finishing line on the avenue Foch with the Arc de Triomphe in front of you! Phew! What a beautiful stroll! Discover the many photos and videos links of the 2017 edition given with this article, as well as the route in map and video. The first video offers you the complete film directed by the TV channel France 3 (2h32 of video).